You came through when we needed a foster to be able to save 11 year old Kima, who was living by herself since her owner died a year ago. And now we need your help again! The only vetting Kima has had is a rabies shot. She needs extensive dental work, vaccinations, and a spay. She also has a few lumps that need to be checked out. This is all very costly, and we really solely on donations to help these dogs! Please help us take care of Kima so that she can live the rest of her days happy and healthy. Thank you from the bottom of our hearts! Kima has numerous mammary tumors which need to be removed and biopsied. 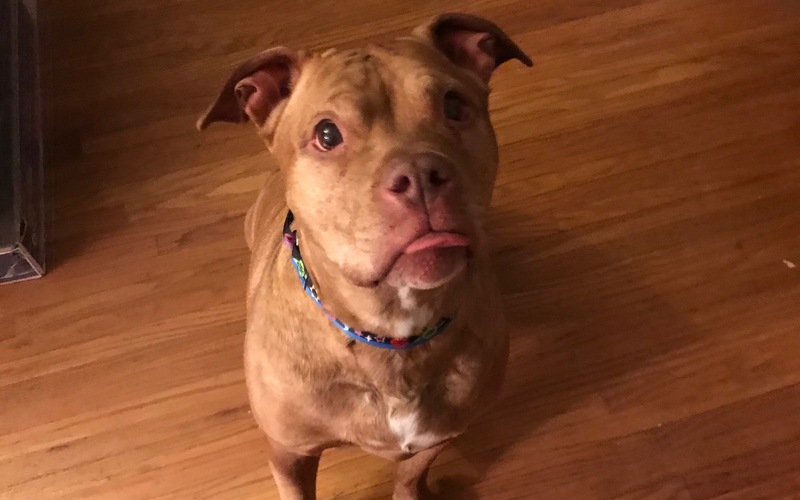 We need your help to care for this sweet girl! Even a small donation can have a big impact! Thanks to Rebecca for caring about these doggies! And to all at Second Hand Dog Rescue! Thank you Jasmine. You have such a good heart for all animals. This sweet girl really deserves to live out her senior years as happily and healthily as possible. So appreciative of organizations doing all they can to make sure Kima others like her are well cared for. Please consider helping her!